How can Pay Per Click advertizing work for your business? PPC advertising is a powerful tool that can get you new clients almost immediatley. Highly targeted and budget flexible, PPC ads are one of the most common and effective ways to reach new clients. HOW CAN PAY PAY CLICK ADVERTIZING HELP MY BUSINESS? Pay Per Click advertising can increase your traffic overnight; it can be a highly effective Digital Marketing strategy when it’s used well. A marketing agency can help you manage it well, however, if you attract a large volume of traffic that has no interest in your products and services, you won’t get a good return on your marketing investment. Skillfully used, however, Pay Per Click can be extremely effective. Let’s see how. Advertising on Google is highly effective for one important reason: your ad reaches users at the very moment they’re demonstrating interest and searching for answers. With keyword advertising, you can target specific words that appeal to specific people. This way, you get a better return on investment than you would with untargeted ads. The Google Network reaches over 80% of internet users worldwide, which is an incredible marketing opportunity. Customers will be able to find you in over 100 languages. This network consists of Google sites and partner properties that use Google AdSense to serve AdWords advertisements. Network partners include Amazon, AOL, The New York Times, About.com, iVillage, and more. Pay Per Click advertising is ideal for short-term campaigns for new products, promotions, and announcements. You can start a Pay Per Click campaign within 24 to 48 hours, and you can often change the text of your ad mid-campaign, so you can make adjustments to your messaging as you see fit. Pay Per Click is also great for businesses that offer products and services that can be purchased right when visitors arrive at your website. With this kind of business (like an online store) you know that each arrival at your website is a potential customer. You can target ads by location and language, which also helps you find the exact target audience you’re hoping to reach. Location targeting is important to most businesses. Some online stores only ship to the United States, so they would only want to pay for Pay Per Click to U.S. users. Some businesses are local brick-and-mortar operations, like restaurants and auto mechanics, so they would want to target people within their region. As you can see, an effective Pay Per Click strategy depends on a number of factors. 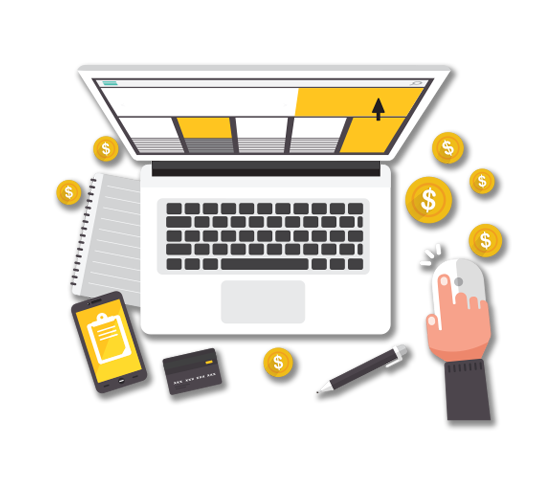 Our experts at Park Slope Softworks can help you create a Pay Per Click strategy that capitalizes on your existing inbound marketing strengths and helps you reach your marketing goals. We look forward to helping you increase traffic to your site and improving your bottom line.